OI can scarcely believe it's the last week of the year and yet here we are. 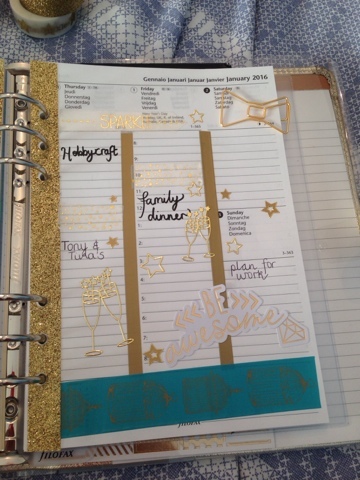 I've opted for a glitzy gold theme to celebrate. 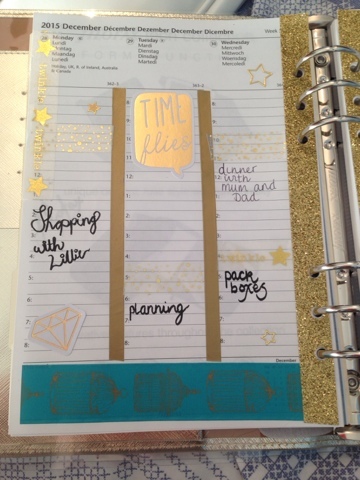 I've used teal and gold in my saffiano, I thought if try out a new layout too. Not too sure if I prefer this to the horizontal layout but I'm going to give it a try anyway. Decorating it has certainly been a new experience, however I have liked how I can fit stickers in. 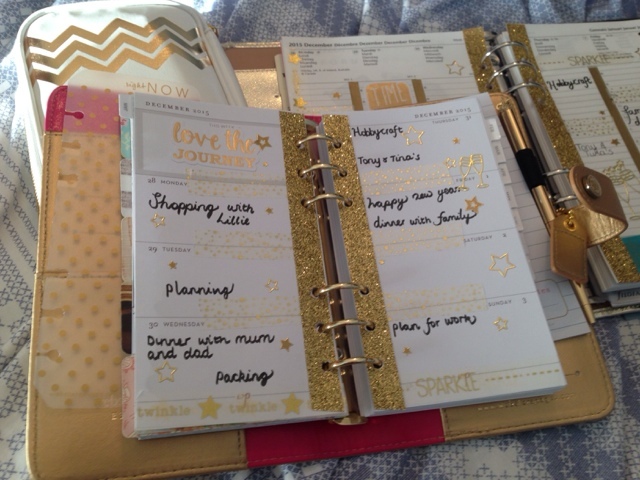 I can also see the potential for those busier days whereas before I would have struggled to fit things in. Of course I couldn't leave out my color crush. 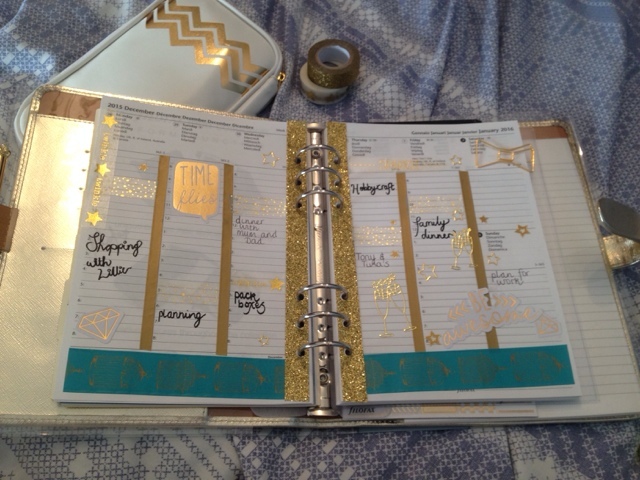 I'm still working the gold at the moment, although I got some new planners for Christmas so I'm pretty sure I'll be swapping out soon. Happy new year folks! Have a great week!